Joyce Hertzoff retired from a profession grounded in fact and science and now uses the power of the pen to write mystery and fantasy stories. Her first novel The Crimson Orb was published in 2014 by Phantasm Books, an imprint of Assent Publishing. Under Two Moons, her second in the series, is forthcoming. Read a complete list of Joyce’s published works on her SWW Author Page. You can also find her on Facebook and Twitter, and visit her at FantasyByJoyceHertzoff.com and HertzoffJo.blogspot.com. What was the spark that led you to write your first fantasy novel The Crimson Orb? 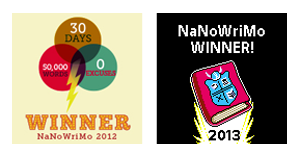 I love to read fantasy stories, but I had never written one until I decided to give it a try for National Novel Writing Month (NaNoWriMo) in 2008. 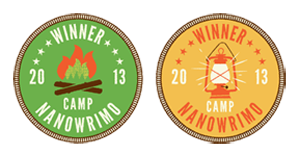 My third NaNoWriMo (2010) produced the draft for The Crimson Orb. 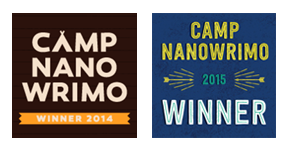 I’ve participated nearly every year since then, even doing two NaNo Camps. 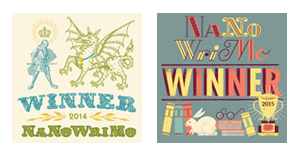 Each time produced a 50 K draft of a story or the second half of one: two romantic mysteries and the rest fantasies. I’m hoping to do it again in November to get started with book four of the Crystal Odyssey series. You’re in the process of completing the third book in the series. What is the most challenging aspect to this multi-book project? Each book has tons of characters. I need to keep a notebook so I can be consistent when I write about any of them. Nissa, the main protagonist in the series, meets many people during her travels and, as much as I love to develop each of them, coming up with names and remembering them all can be challenging. If you had an unlimited budget, how would you spend your money for marketing and promoting your books? There are paid services for publicizing books, but I’m not certain they are worth the money. I’d love to do a video trailer for The Crimson Orb. Totally. It’s a combination of: 1) females can do anything and should be given opportunities they sometimes aren’t; and 2) every lesson and experience is important in the growth of a person. I’ve been told I write very natural, believable dialogue, but also that I sometimes fail to describe both characters and settings. When I edit, I always add more descriptions. The trick for me is adding them without taking a reader out of the story. You spent over four decades in the scientific information business. How did your experience writing nonfiction impact your fiction writing? I’m naturally left brained and also compulsive. Combined with my previous experiences, I’m almost driven to make sure my stories make sense, that the science is at least possible, and that the details of the worlds I create remain constant. But years spent writing stark just-the-facts abstracts of scientific papers probably contributes to my problems with providing descriptions and extraneous information. You’ve been active in the fan fiction community for several years. How did fan fiction impact your journey to publication? Who are your favorite authors? Who do you wish you were more like in your own writing? My reading tastes are eclectic. Too many authors to list. 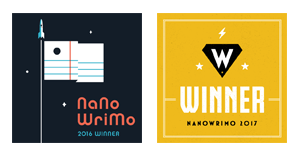 I don’t particularly want to write like some of the more successful writers, though. I don’t tend to get writer’s block, although if I do, I’m usually working on so many projects, I can always switch my attention to one of the others. I do sometimes write myself into a corner; when I do I let the piece sit, and at the strangest times, a way out occurs to me. I’m working on the third book in the Crystal Odyssey series (working title Journey to Fartek), as well as another fantasy series, a couple of murder mysteries, and a post-apocalyptic story. My head is full of ideas for more, too. For Part 1 of this interview, published on the SouthWest Writers website, click here. Thanks so much for this, Kathy. You’re welcome, Joyce. We’ll do another one when Under Two Moons is released.